Urs König is Swiss (German speaking), was born in 1968 and grew up with ATARI video games and Sinclair home computers in the 80s. Urs was a teenager when the Sinclair QL (Motorola 68K CPU, 32-bit OS with pre-emptive multitasking Qdos) was in development and launched to the market. 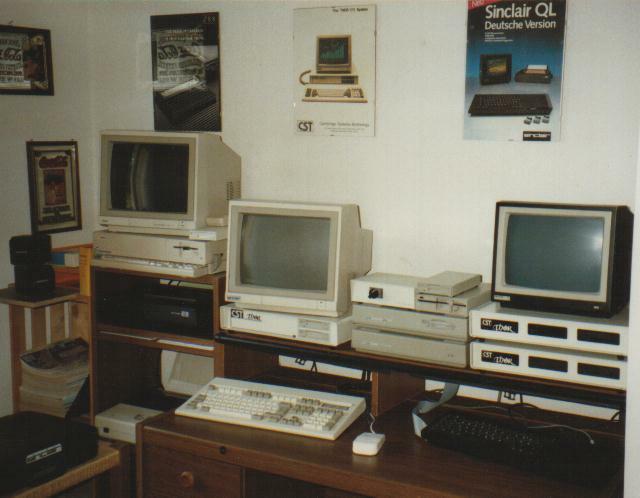 At age of 17 he bought his first personal QL when it was on sales after Christmas 1985. Urs established in 1984 and ran the COWO Electronic business - supporting all QL compatible systems - until 1992, with some extend to 1995. COWO Electronic imported and sold quite a few QL and compatible (CST Thor, ATARI ST) systems, peripherals and software and published several software titles. 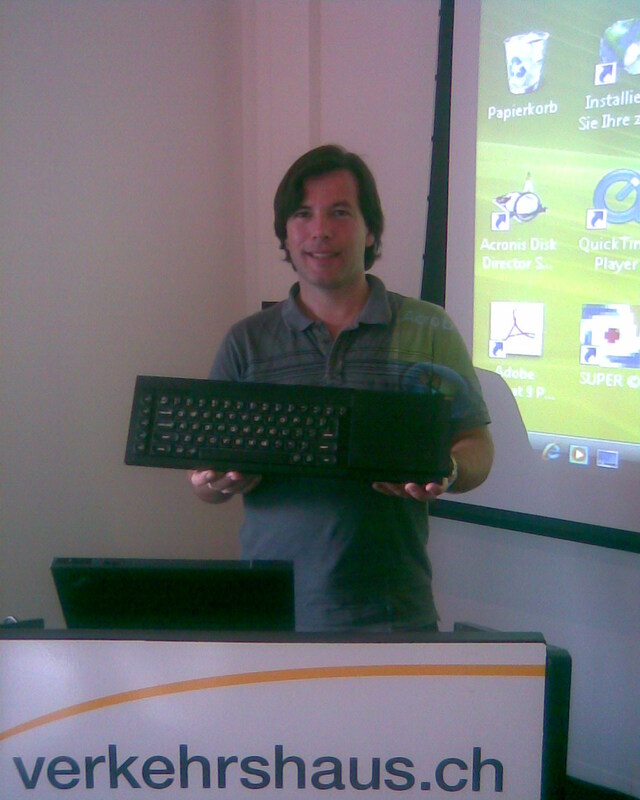 Urs developed several QL software packages of which QTop - the definitive user front end - was the most famous. 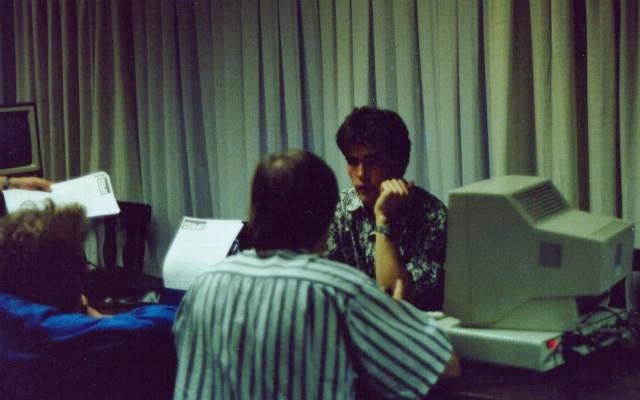 At the top peak of COWO Electronic in 1991, Urs was using an armada of QL compatible computers to develop, test and support the QTop software suite and other software running under Qdos. Commodore Amiga 1000 with external 3.5" FDD, Sinclair QL Printer (made by Seikosha), Star LC24/10 Printer, CST Thor XVI, ATARI Mega ST1 with external 5.25" FDD, ATARI Megafile30, CST Thor 8, CST Thor 21, Sinclair QL with Goldcard and HD FDD. At that time probably the most complete line up of QL compatible computers worldwide! After his QL development, publishing and trading activities faded out in 1992 and came to an ultimate halt in 1995 Urs became a silent follower of the scene with interests in the QL shifted to two major topics 1) people and 2) preservation. In spring 1995 Urs bought an ATARI JAGUAR 64-bit Interactve Multimedia System. This started his QLvsJAGUAR activities. Urs also became a collector, researcher and writer of QL related articles. He owns one of the most complete and exclusive QL and JAGUAR collections. Over the years Urs established close connections to many former Sinclair employees. Having met or communicated with almost the entire QL development team over the years, Urs knows the QL story in and out. In 2009 Urs ran the "QL and Mac are 25 "international show in the Verkehrshaus Lucerne (the Swiss Transport Museum). Urs is running several ATARI (JAGUAR) and Sinclair (QL) related (web-)activities including the Sinclair Alumni group on LinkedIn, the Sinclair QL Preservation Project (SQPP) including this website, the huge Sinclair QL Picture Gallery (SQPG) on OneDrive and the QLvsJAGUAR Video channel on YouTube to name just a few. 2014 was the year of the 30th anniversary of the QL. Visit the "QL is 30" website and get a glimpse of the party. 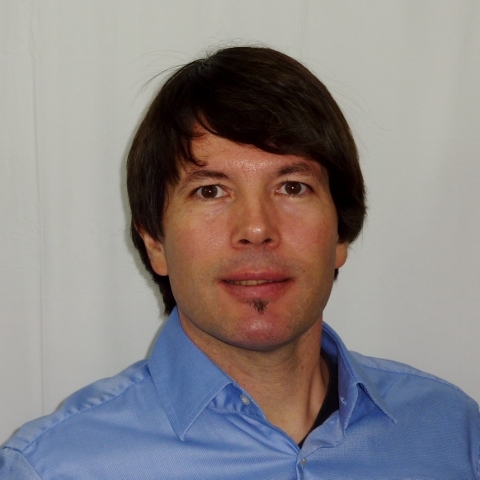 Current QL projects include QL/E - THE VIRTUAL QL ENVIRONMENT! (Updated 2017-10-31, version 3.17) and QL IS 30 2014 - THE DISTRIBUTION (Updated 2016-04-23, version 3.04). Being a Sinclair addict, Urs collects and preserves Sinclair artefacts and also travels to Sinclair events around the globe where he holds presentations. After many years in the IT industry, Urs nowadays owns and runs an independent IT consulting company called COWO Enterprises LLC and is COO of 4POS Ltd, a top brand for retail solutions. Over the years I have learnt that the QL changed my life in many aspects. Summarized I can say that it changed it in very positive way. I would say that without the QL, its technology and the people behind it I would not have made the career the same way as I finally did.